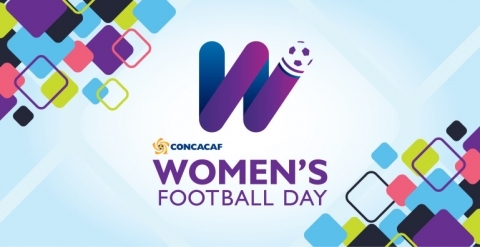 The BVIFA in conjunction with the Confederation of North, Central America and Caribbean Association Football (CONCACAF) will be celebrating its third annual Women’s Football Day on Saturday, November 18, 2017. Building on the success of the second women’s day held in 2016, in which all 41 Member Associations within the Confederation united to shine a spotlight on efforts to create more opportunity for girls and women to play the game, this year’s full-day event, which starts at 9am on the new field at East End / Long Look, continues the FA’s on-going work to strengthen programming in order to increase women’s participation in the game. As the focus of the FA CONCACAF Women’s Football Day 2017, on Saturday, November 18, the FA will officially kick off the preparations for the 2018 CONCACAF U-15 Girls’ Championship. In recent years, CONCACAF has demonstrated leadership in women’s football on and off the field, with Member Associations from Costa Rica and Canada hosting FIFA’s 2014 tournaments for youth players – the U-17 and U-20 Women’s World Cups, respectively. In addition, the FIFA Women’s World Cup Canada 2015™ drew a total attendance of more than 1.35 million, setting a new total attendance record for a FIFA competition other than the FIFA World Cup™, a championship kept in the region with the victory of CONCACAF nation United States.